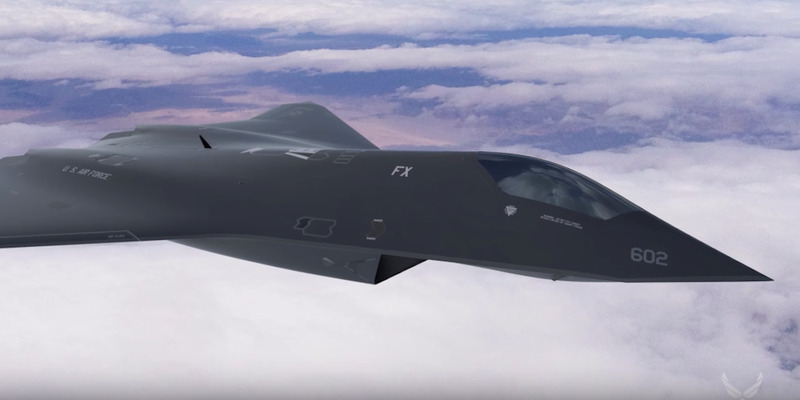 The US Air Force Research Laboratory recently released a video showing a conceptual design of a sixth-generation fighter jet and other futuristic technology. The video plugs the laboratory’s Science and Technology 2030 initiative. It shows the conceptual sixth-generation fighter, known as the F-X, firing a high-energy laser that cuts another fighter jet in half. 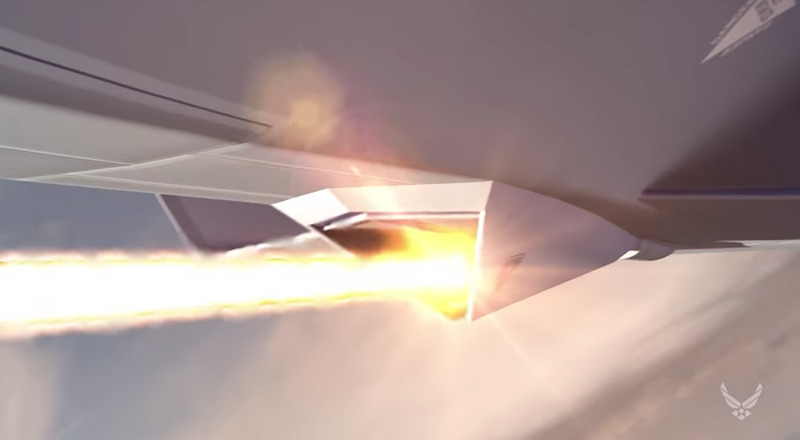 The US Air Force Research Laboratory recently released a video showing what a sixth-generation fighter jet might be like. The Air Force released the video to plug its Science and Technology 2030 initiative, which Heather Wilson, the secretary of the Air Force, launched in September. Since at least 2015, the Air Force has been talking about mounting lasers on planes and jets, such as AC-130s and F-15s and F-16s. Lockheed Martin was recently awarded a $US26.3 million contract to develop lasers for fighter jets. It’s unclear what capabilities a sixth-generation fighter would have, but some have speculated it could have longer range, larger payloads, and an ability to switch between a manned and an unmanned aircraft. It might also be able to travel at hypersonic speeds, carry hypersonic weapons,and more. Defence News reports that the Air Force hasn’t selected a developer for the F-X, also known as Next-Generation Air Dominance or Penetrating Counter Air, but hopes to put it into service around 2030. Screenshot/US Air ForceThe conceptual F-X laser weapon. The AFRL says it will “listen and learn from the scientific community, higher education and business professionals through a series of conversations and outreach events” at universities across the US this spring and summer. In addition to the F-X, the AFRL video features the Air Force’s Loyal Wingman initiative, in which a manned fighter jet commands and controls a swarm of attack and surveillance drones. It also showcases the Defence Advanced Research Projects Agency’s Gremlins program and the Air Force’s Counter-electronics High Power Microwave Advanced Missile Project, known as Champ, a conceptual missile designed to cause electronic blackouts.